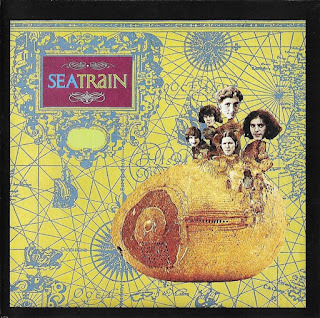 This album was the next step by the group previously performing under the revamped "Blues Project" name and their "Planned Obsolescence" album of 1968. The Blues Project made serious changes after Al Kooper, Danny Kalb and Steve Katz left for other musical interests. 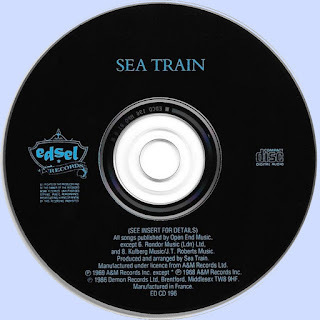 This original Sea Train album had some marvelous, haunting melodies, including two great instrumentals, "Pudding Street" and "Sweet Creeks Suite" (both Andy Kulberg tunes). Two other songs, "As I Lay Losing" and "Outwear the Hills," both surfaced on future albums. The band consisting of John Gregory (guitar, vocals), Donald Kretmar (sax, bass), Richard Greene (violin), Roy Blumenfeld (drums), Andy Kulberg (flute, bass) and Jim Roberts (lyrics) created a fascinating montage of country, rock, jazz and classical compositions. The difference between Sea Train and other American bands were their lyrics. The group had a dedicated lyricist, Jim Roberts, whose words were more poetic than most bands of this era, focusing on personal experience and frail romance. This is a vinyl transfer to digital copy, tried to fix the sound as better I could, artwork is from the 1986 CD release, sorry for this mixed up. I don't know why it hasn't released a remastered CD version, the musical world is full of scams, how can they ignore this truly masterpiece.